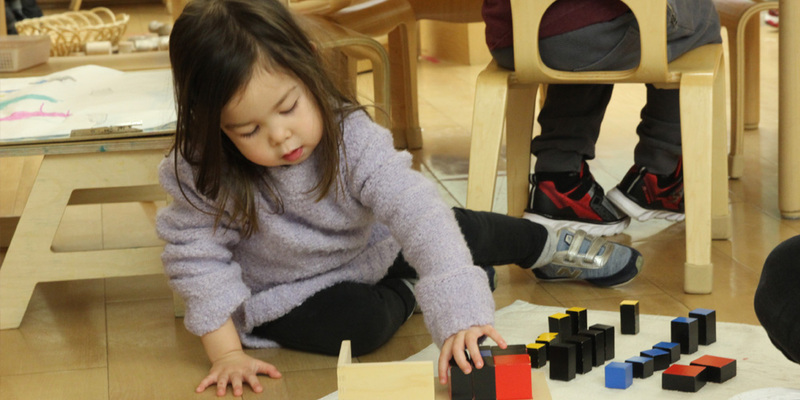 Our classrooms are filled with inviting, hands-on activities that are thoughtfully organized into different sections of the room based on the primary areas of our curriculum: language, math, sensorial development, practical life, and cultural awareness. We believe that learning is not neat and linear: it is a messy process. We expose children to a range of intellectual, physical and social activities, and we give them long blocks of uninterrupted time to work in these activities. In this way children take responsibility for their own learning. They learn to ask questions and to seek explanations and then to ask more questions. They learn to make decisions, to challenge themselves, and to strategize. Our classrooms brim with oral and written language. 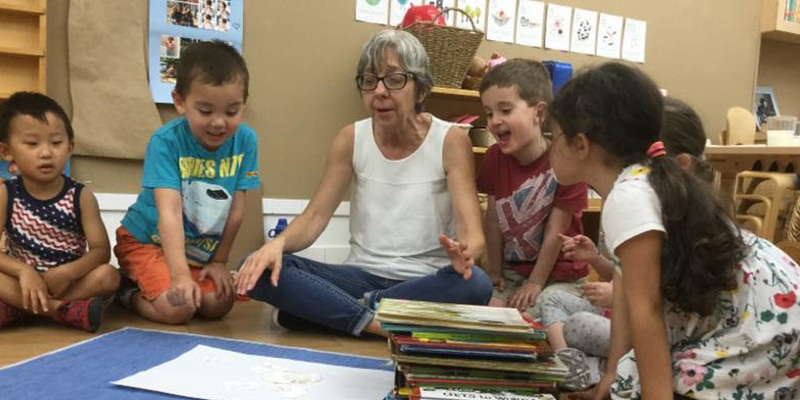 In addition to the many one-on-one or group conversations throughout the day, children read aloud to each other: by interpreting pictures, recalling words from memory, sounding out words, or recognizing sight words. Our Dramatic Play area builds oral language skills by inspiring children to verbalize the scenarios, dreams, and stories of their imaginations. 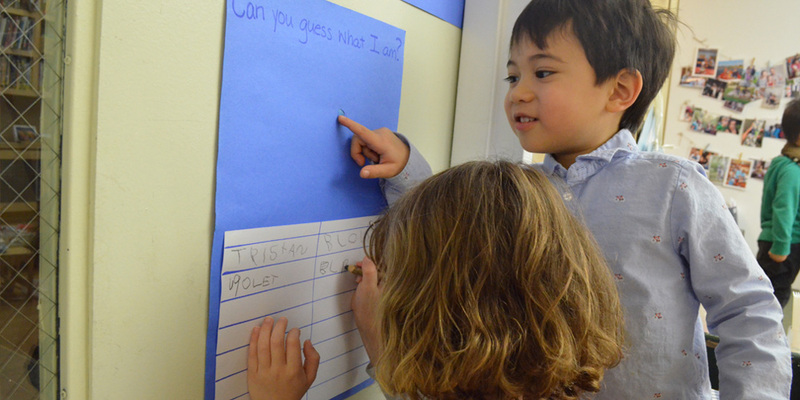 All of our students—even the youngest—write, beginning with invented writing and spelling, progressing to writing initial sounds and words they know, and then advancing to semi-phonetic spelling. 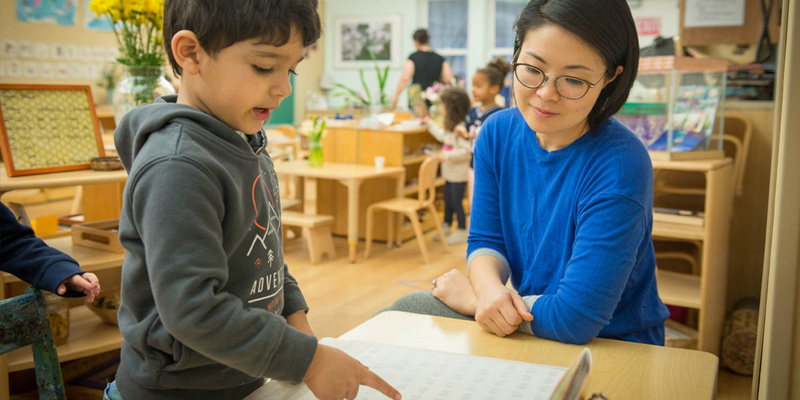 Montessori materials such as sandpaper letters help students master literacy skills. 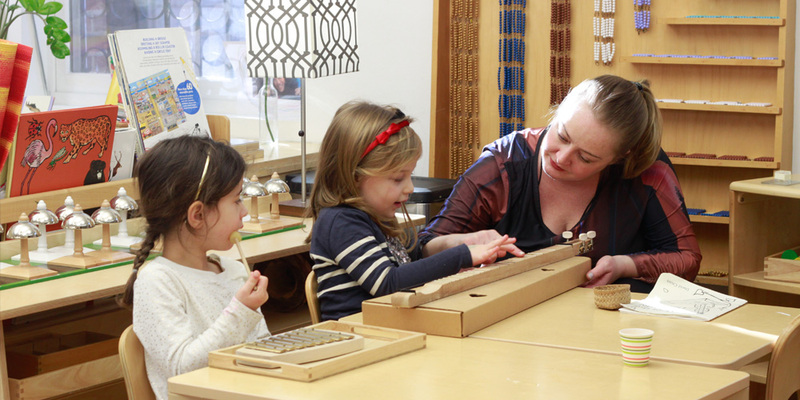 Our students work with the classic Montessori Math materials, which have a range of uses depending on the child’s level of development. By exploring these materials hands-on, children gain a concrete understanding of everything from number identification to addition and subtraction to multiplication and division. Sensorial materials give children an opportunity to develop an understanding of their physical environment by using their senses. These concrete materials convey such qualities as color, shape, texture, and weight, and in working with them children come to grasp such concepts as one-to-one correspondence, ordering, and classification. Practical Life materials are structured activities related to developing a sense of independence through caring for oneself (dressing, combing, etc.) and one’s environment (cleaning, washing, gardening, etc.). Control of movement (pouring, chopping, sweeping, etc.) and courtesy (greeting, helping, thanking, etc.) are also developed through these activities. Each classroom has activities devoted to Cultural Awareness and to broadening children’s understanding of the world around them. 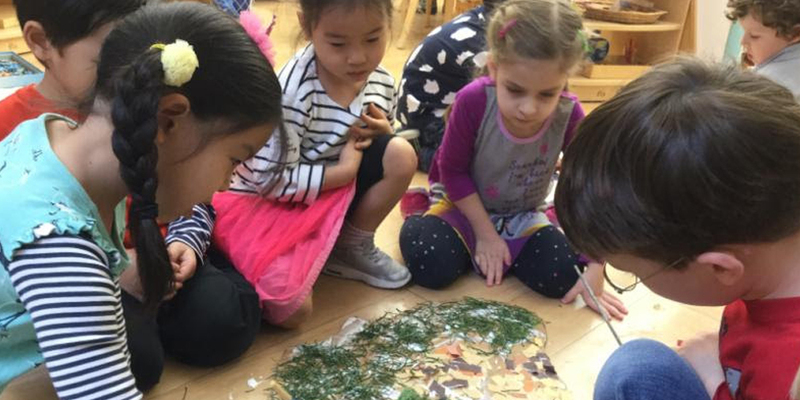 Concepts involving science, nature, geography, and social studies are explored through art, music, maps, magnets, electricity, anatomy, chemistry, and other units, as well as through trips to the park and walks in our neighborhood. Our students engage in physical activity every day. In addition to a weekly movement class, classes regularly spend time outdoors—in Riverside Park or Joan of Arc Park, or on our own rooftop play space, and in our indoor gym, which offers gymnasium mats for crawling and tumbling, bars from which to swing, and other sports equipment. Our rooftop play space features a wide assortment of Snug Play: colorful, rugged loose-play elements that children can use together or separately to create endless possibilities for active play and gross motor development. Whether it is sung, played, or danced to, music streams through our curriculum. Our students learn to sing name games, geography songs, folk tunes in other languages, and nursery rhymes, many of them accompanied by small and large movement or percussive instrument play. The correlation between music education and physical/neurological development, social growth, and strengthening of critical thinking skills has been long established; to our students, making music is just plain fun. Art is a part of everyday life at WSMS. 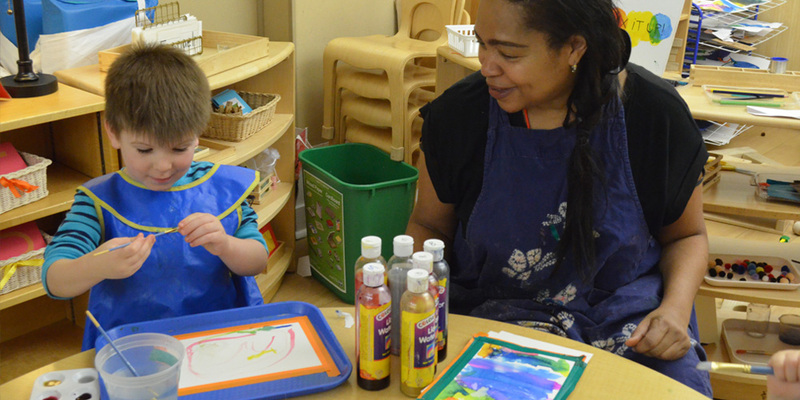 In addition to their semi-monthly visit from our art specialist, our students are encouraged to explore the many art materials available at all times in the classroom: tempera paints, watercolors, pencils, crayons, chalk, found materials from walks in the park. In keeping with Montessori practice, presentations of how to use these media are offered before children are invited to begin. Our organic approach to art encourages students’ spirit of exploration by making sure to engage multiple senses: children observe what happens when they swirl a paint-covered brush in clear water, the sensation of a paint brush over the back of their hand, and the feeling of natural clay between their toes. 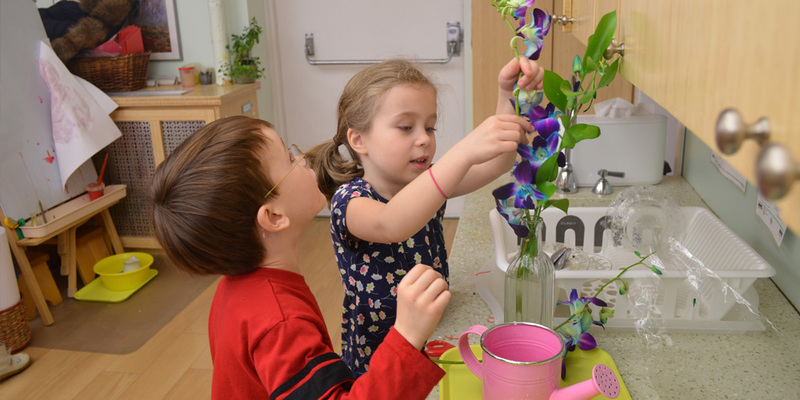 When our Nature teacher visits the classroom, children immerse themselves in nature by exploring with their five senses, and looking at animals to examine how—similar to humans—they use their senses to find food, to be safe, and to find shelter. 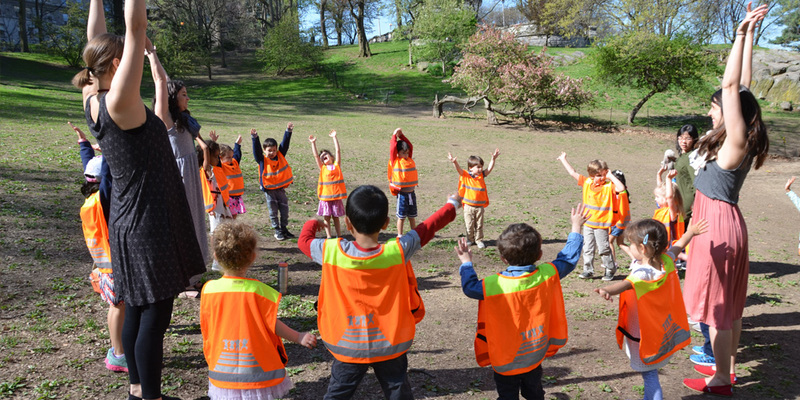 Our Nature teacher believes that that the experiences of young children with nature play a critical role in shaping lifelong attitudes, values, and patterns of behavior toward natural environments.